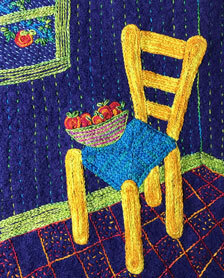 Today I’m finishing up another house quilt from the Windy City series. 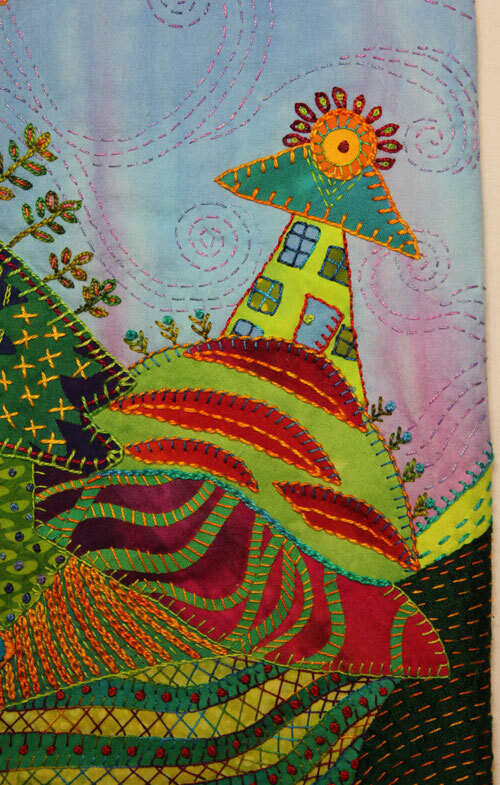 I have a penchant for the theme of “houses” when making improvised art work. And each year I try to come up with a different name for the series of house quilts made during that year. Have any ideas for titles of the 2019 house series? I’d love to hear them. 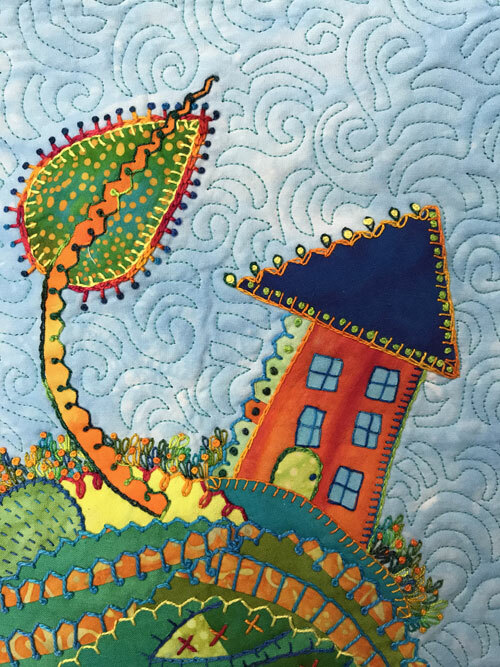 If you’re into making house quilts too, you make want to consider donating one to Quilting Arts Magazine new reader challenge. 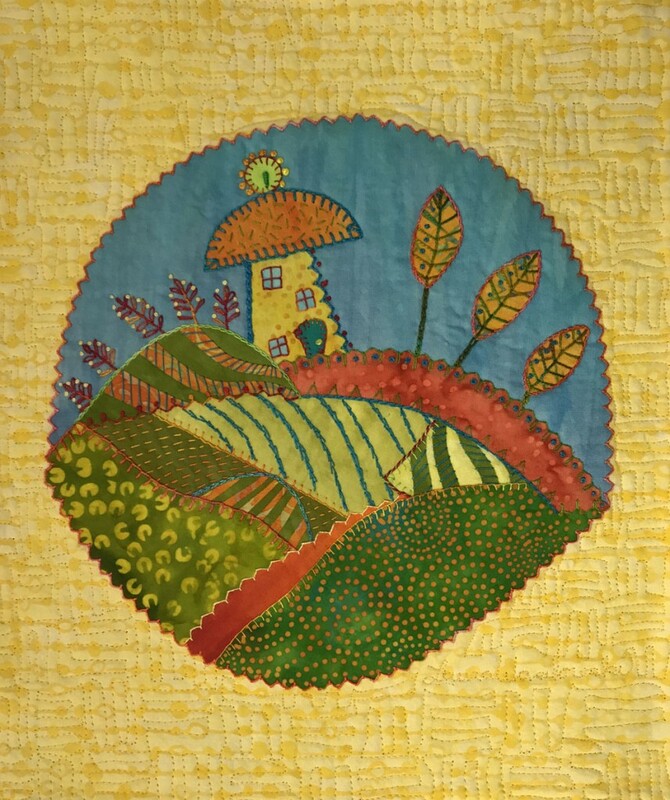 Jamie Fingal’s “Heart of the Home” project provides a decorative “home” themed quilt to families and individuals who are transitioning from homelessness to a permanent residence. You can read about it here. Now if you’ll excuse me. I must go sort through my many house quilts and find one to donate to the cause. Soon I’ll be packing my bags to teach in Sisters, OR. Sisters is the home of the largest outdoor quilt festival in the nation called Quilters Affair. 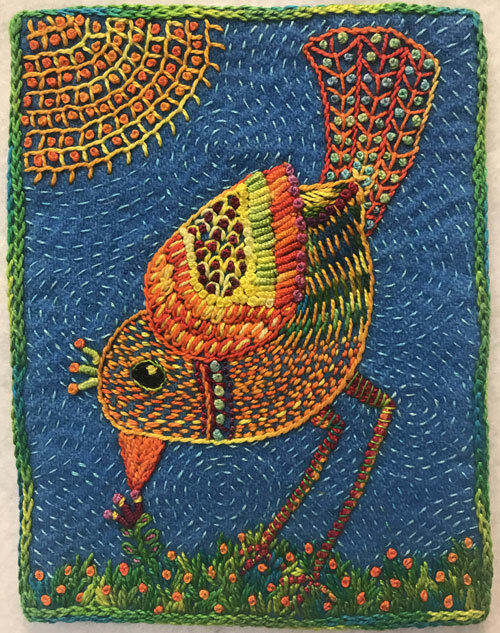 One of the many activities at the show is the opportunity to bid on art work by donors for the charity, Wish Upon a Card. 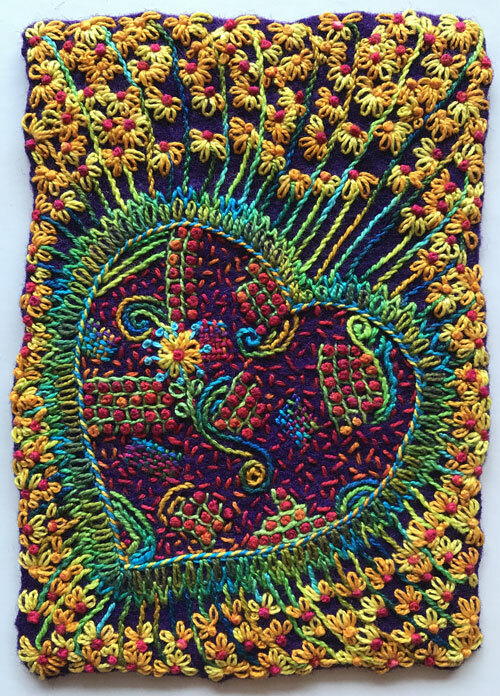 My donation this year, With a Light Heart, measures about 4″ x 6″ and is free- form hand embroidered on wool. 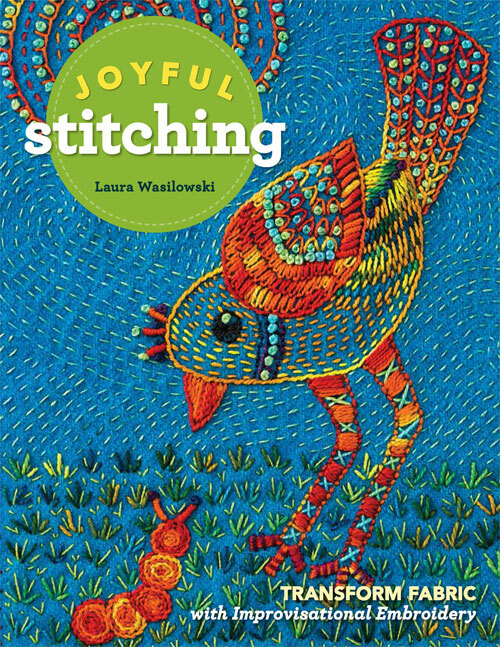 Loved making it, love that it’s helping out someone in need, and love that it will go to a good home. 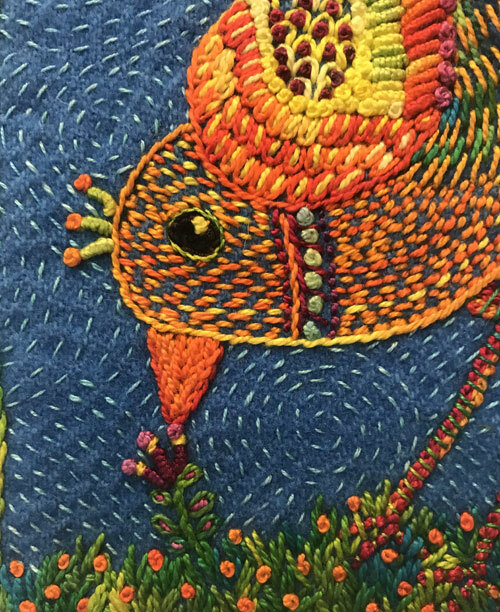 Here is a quick video about this little free-form embroidery. Enjoy!